This was emailed to us by PWiggen in Power Point format. I’ve taken the liberty of transcribing it and posting it here. Update: Dennis Jantz has provided us with an update to his Power Point Presentation. This is now Version 2.0. 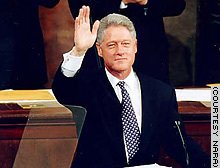 President Clinton advocates changes to the Community Reinvestment Act from 1977. Reno threatens banks and mortgage companies with “investigations” if they don’t comply. Banks begin making thousands of bad loans. EX: 0 down, no documentation of income, for 120% (1998 – 2008). Executives at Fannie receive huge bonuses if loan asset targets are met. 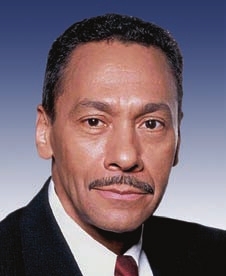 Franklin Raines and Jamie Gorelick from the Clinton Administration are appointed to run Fannie Mae. 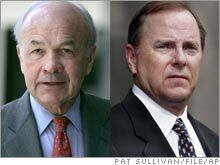 In 2004, Enron collapses, congress investigates, Executives Jeff Skilling & Ken Lay go to jail for fraudulent bookkeeping. Fannie Mae engages in massive fraudulent bookkeeping. Fannie Mae pays millions to 354 Representatives and Senators from both parties, especially on oversight committees. Fannie Mae gives millions to Democratic causes, example: ACORN, now under investigation for widespread voter registration fraud. Sen. Christopher Dodd, (D-CT) Chairman of the Banking, Housing, & Urban Affairs Committee, 2006 and onward. 7. Rep. Paul Kanjorski, (D-PA) Chairman of the House Financial Services Sub-Committee on Capital Markets, Insurance, & GSE’s, 2006 and onward. 26. Rep. Barney Frank, (D-MA) Chairman of the House Financial Services Committee, 2006 and onward. 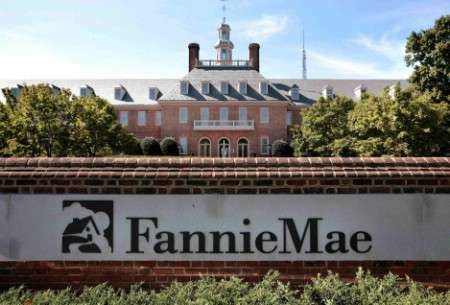 Fannie Mae engaged in “extensive financial fraud” over six years by doctoring earnings so executives could collect hundreds of millions of dollars in bonuses, federal officials said yesterday in a report that portrayed a company determined to play by its own rules. Fannie Mae & Freddie Mac goes bankrupt and the Govt. takes them over. Lehman Brothers goes bankrupt from making bad loans. AIG gets $85 billion in loan guarantees. Obama, Pelosi, & Reid try to blame “Eight years of financial mismanagement by the Bush Administration” for the crisis. The Bush Administration & Congress have passed legislation to buy up all the bad loans, at an initial cost to you of: $700 BILLION. Will any of those who committed fraud ever face justice, or pay a dime? Will the taxpayers ever get their money back? What was your Senators’ or Reps’ role, for better or worse? Who will pay for even more government control of the economy? 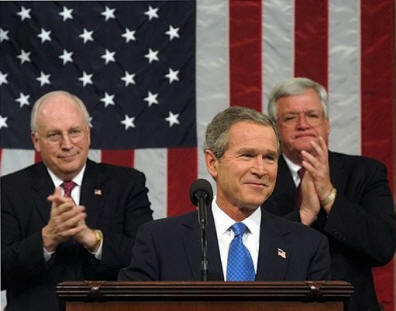 Institute for Policy Research, 1/1/00. 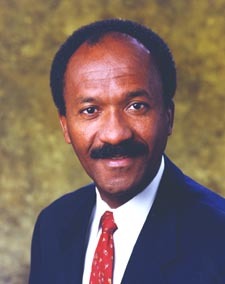 Jones, Terry. “Crony Capitalism is Root Cause of Fannie & Freddie Troubles.” Investors Business Daily, 9/22/08. This entry was posted on 30 September, 2008 at 1:48 am and is filed under Analysis, politics. You can subscribe via RSS 2.0 feed to this post's comments. You can comment below, or link to this permanent URL from your own site. Gee, at what campus of University of Nevada does this “Prof” employed? i can’t locate such individual. Obviously you haven’t tried hard enough. I have corresponded with him via email. Would you like me to send your email addresss to him and you two can talk? BTW – Just like Obama, he is not a “full” Professor. Bill Maloni: You Want to Blame Who? 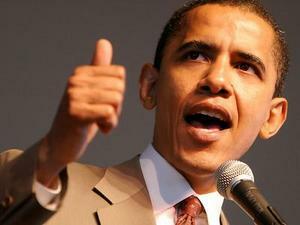 Claim: Three former Fannie Mae executives are linked to the Obama campaign as chief economic advisors. Nope. Try again. This is version 2.0 of Shot in the Fannie Mae. I suggest you actually read it. Wow. I came across this site b/c someone left on my desk at work the power point presentation: Shot in the Fannie Mae. When I began reading through the materials it started to contradict just about everything that is published on the matter. Well, from honest reporting news sources that is. On a side note, I found it a little funny that the person in my office never disclosed who they are- most likely because they have no idea how to support what is said. And who really wants to use Fox News as their star reporter when Fox News is still claiming Saddam had something to do with 9/11…. and the list goes on and on. I will say I’m rather surprised that “professor” Dennis Jantz made it know who he is. Why? Just read Mike Bees response above for the real academic reason the mess began. So Professor Jantz, a question for you… how much were you paid to produce such inaccurate propaganda? I’m a little disturbed by it b/c it’s effecive. Just look at the comments from Gramfan and Dr. Bulldog for starters. You’re taking advantage of the impressionalbe minds of these individuals and God knows how many others. A couple thoughts from my end. It’s nothing personal. 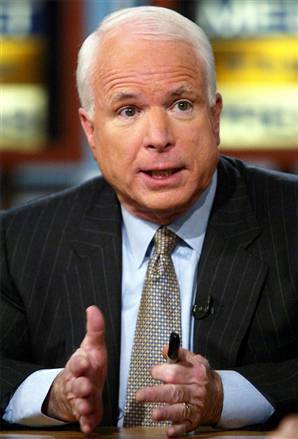 It’s just the facts that John McCain bragged about being called “the deregulator”. It was actually McCain’s chief economic advisor Phil Grahm, a republican, who is most responsible for passing law to deregulate the financial services sector as we once knew it. Finally, ask any mortgage broker you know and they will tell you that exotic loans such as interest only, negative ammortization loans, etc… didn’t exist before the year 2003. 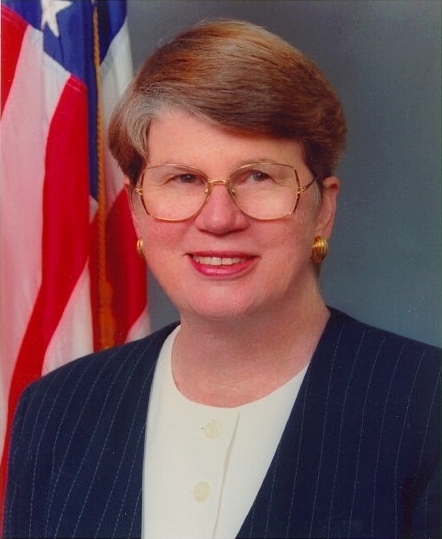 We all know who was in charge of government during that time. it’s nothing personal. Finally, if you still believe Fox News when they say Democrats will spend and tax you until all your money is gone… all I ask is that you google search “national debt” on googles images. There’s a very handy chart in red/blue colors that will show you how each republican president has ran deficits each year of offfice and added to the national debt, while democrats have acutally had more surplusses or very small deficits and have lowered the national debt. Your current Republcan President has overseen the national debt from 5 trillion to 11 trillion… with the Republican controlled congress for six of those years. You think that’s a result of the wars which is a common talking point. Nope, the wars have cost us 1 trillion, not 6 trillion. Finally, when you hear things like Obama’s a socialist and wants to spread the wealth. Well, before you go riot about this I suggest thinking about it. If you are a millioniare, you will have to pay a little more and rightfully so. My guess is most of us are not millionaires… and we’ll actually get tax cuts as the plan calls for. So please stop voting against your own best interest. Not to mention it’s the republican party than has outsourced our entire manufacturing industries. You’re jobs! Yes, Clintton shares some responsibility for his free trade gameplan, but he never gave tax incentives for companies to ship jobs overseas like your party leaders have. So if liberal means balanced budgets, regulations, and helping out the less fortunate so they can feed their f&*king families… maybe that isn’t so bad afterall. When you think about it you probably believe in a liberal agenda more than you know. Not to mention us liberals get laid a lot more b/c women love a man that thinks about more than himself. Back to you Professor Jantz, I’m dissapointed to call you my fellow american. And thank you Mike Bee for systematically breaking down the root cause(s). I didn’t spell check, so please don’t waste your time commenting on any mistakes. Now read I say! Read as much as you can from as many sources as you can before commenting on anything in life. I would have expected better from someone complaining about our language. The “F” word is inappropriate. I guess somewhere in your superior intellect hides the mind of a child. Let me call myself out before anyone else… I counted at least 10 grammer/spelling mistakes. I guess my lesson to be learned is stop being lazy and spell check before publically publishing anything.